After the excesses of the busy festive season January is known within the diet, health and fitness industries as the detox season. Despite this, it may actually be the most unnatural thing to be doing at this time of year. But why? 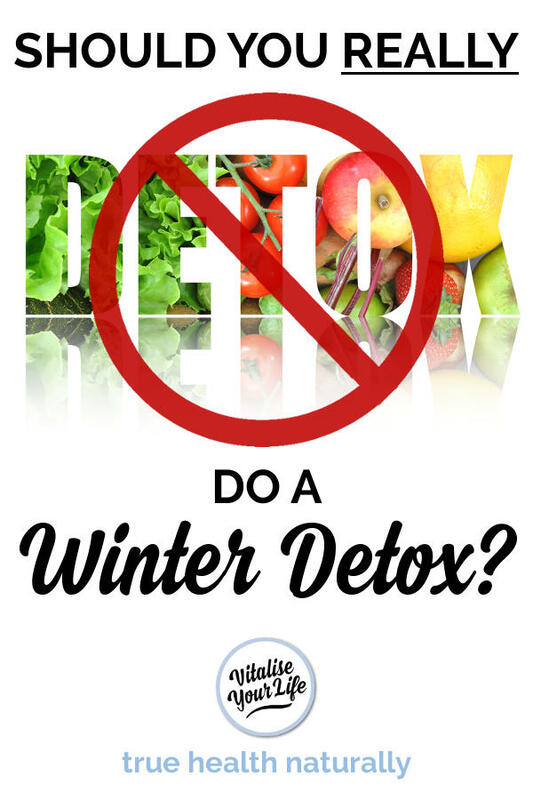 Why is Winter not the best time of year for a detox? Winter in the Northern Hemisphere means colder temperatures and less sunlight. All around us we see the effects of this in nature as the trees drop their leaves, bird populations change and the ground hardens beneath our feet. We retreat inwards, literally, spending many hours indoors and when we go out we wrap up warm. Our food changes too - we instinctively eat less salad and more soup. We even crave fattier and calorie-dense foods to give us the energy we need to keep us warm, which make Thanksgiving, Christmas, and New Year celebratory meals very satisfying! Our immunity is not as strong in the winter. There is increasing evidence to show that the cold air we inhale weakens the mucosal lining that is responsible for protecting us from airborne microbes. Detox diets typically starve the body of the nutrients that the immune system needs in order to function well, putting us at further risk from the typical winter viruses and infections. There are not enough light hours in the day! We stop being able to produce Vitamin D - According to statistics one in five of us are already deficient in Vitamin D. Detoxing when deficient in vitamin D could be dangerous as vitamin D protects our cells from free radical damage (from the toxins released) and it prevents reabsorption of heavy metals. In winter we need to supplement with vitamin D to make sure we are protected. Health and mood are linked to sunlight exposure too – many of us suffer SAD (Seasonal Affective Disorder) in the winter as serotonin levels can drop when there is less light, whilst at the same time melatonin levels rise. These hormonal changes can affect our biological clock, our moods and our appetite. It is not the time to put your body through more stress by detoxing. We are naturally meant to sleep more in winter - there are more hours of darkness - but instead we spend more hours being bathed in artificial light. Screens and light bulbs emit large amounts of blue light which has a stimulatory effect on our brains. This is fine to help us get up and go, but after dark it can disrupt the natural balance of hormones that regulate sleep. Disrupted sleep leads to disrupted health and this can spiral out of control, especially if the body is under pressure from detoxing too. A detox typically involves: taking out certain food groups; eating less; eating nothing; only juicing; taking herbs and supplements; and cleaning out the colon. But all of them are calorie restrictive. What does a detox diet do? - Most detox diets or programs aim to cut out stressful/unhealthy foods and drinks, give the colon and the liver a break from digestion so they can clear out any build-up of toxins, and release stored fat in order to lose weight. CAUTION! The problem is your body may have used the stored fat as a place to hide dangerous fat soluble toxins like heavy metals, plastics, chemicals, pesticides, pollutants and preservatives, which are all really difficult for the body to eliminate. Once these have been released into the blood stream they can settle elsewhere and they love the fat rich organs and systems of the body such as the central nervous system, and especially the brain. Are you still not ready to ditch the winter detox? For those of you thinking that all these festive excesses, which have left you feeling sluggish and heavier, can be purged via some detox plan - STOP! Who’s taking the rubbish out? - Those excesses will have clogged up the detoxification pathways of the body, which is why feeling sluggish, heavy and low in energy is common. Until those pathways are a bit clearer, you can’t empty out any more rubbish, the bins are full and the bin-men are on strike! Two wrongs don’t make a right - Swinging from gluttony to starvation is stressful and unhealthy for our bodies, minds and moods. It is not a pathway to health and vitality. In order for any extreme diet or detox programme to be successful you need to prepare your body for what is to come, rather than shock it or force it into submission. It’s tempting to want to shed any extra pounds you gained in weight and dive into a detox. It’s frustrating when you feel sluggish and fatigued and you think a detox will make you feel better. It’s really hard to shut down the natural craving for fatty and comfort foods so you can purge your body of toxins. But you could be making the situation worse rather than better. Save the detox for the spring! Let me reassure you that the best thing you can do for your health in the winter is to make sure you rest & sleep well, hydrate properly and nourish yourself. 1) Cut down on toxins – now there are fewer parties there will be less temptation. But cut it down over time rather than go cold-turkey, pardon the pun! Make yourself some sugar free, healthy treats – like sweet potato brownies, ‘fat bomb bites’, or dark chocolate – to get you past the cravings. 2) Start the day right - drink hot water with freshly squeezed lemon juice in the morning - an all-round healthy tonic to start the day right. It is rich in vitamin C and citrus flavonoids, and it boosts metabolism. 3) Never underestimate the power of water – making sure you drink enough water to cover your body’s daily needs is the most powerful health habit you could ever have. About 2 litres of water are used up by your body to keep everything running smoothly on a daily basis. However our need for water rises when we exercise and sweat more, if we have a UTI infection, suffer from a tummy bug or have a fever. The quality of the water you drink is also important. Water bottled in plastic can contain hormone disrupting PCBs, and tap water quality varies from house to house and can contain pharmaceutical drug residues like anti-depressants or contraceptive chemicals as well as chlorine, fluoride and other metals that have leached from lead or copper pipes. Tap water can also contain bacteria. Take your own personal drinking bottle with a filter with you everywhere! 5) Increase the amount of nourishing winter food in your diet - Eat soups, stews and mineral broths – full of vegetables, loaded with minerals and fibre, nourishing and soothing for the digestive tract. For a good bone broth recipe see here and for a vegan alternative have a look here. 6) Try to avoid eating late at night – in the winter your body wants and needs more time to rest, relax and repair. When you eat late at night you make your body work hard in order to process the food, which takes energy and time. 7) Protect your sleep - Wear blue light blocking glasses after dark if looking at screens – start a new fashion and get better sleep by wearing these special glasses. I wear mine after sunset if I’m still working at my laptop, looking at my phone or watching TV. So for now you can relax, rest and nourish yourself during the winter. But once our beautiful planet has tilted the Northern Hemisphere towards the sun again we will be given new light, new energy and the power to renew. Our spring detox guide will contain all you need to know to gently, effectively and easily assist your body in letting go of toxins and excess weight. If you would like to make sure you don’t miss it, please subscribe below. 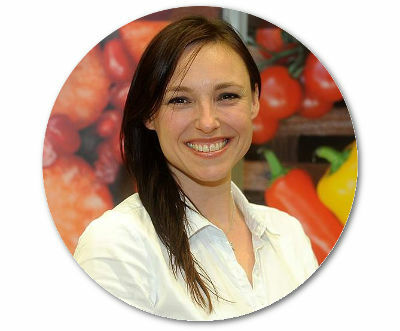 Do you have any favourite winter recipes, tips for staying happy and healthy in winter, or any questions for our nutrition expert? Feel free to comment below . . . . . . . . .